With the average annual temperature in the sunshine state lolling at 70.7 degrees, is it any wonder Floridians love to spend their spare time outside on their bicycles? Unfortunately, with all of that outdoor sun loving, cyclists have put Florida on the map for more than just balmy temperatures: Florida exceeds bicycle collision rates by double, and leads the nation in bicycle deaths. If you find yourself injured due such a bicycle accident, an experienced personal injury attorney can be your ticket to a successful settlement. Although only one percent of travel occurs via bicycle, vehicle passengers die at half the rate of bicyclists in the United States. 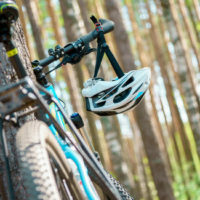 31 percent of fatal bicycle accidents in 2012 involved cyclists who had been drinking alcohol. Across the nation, the average age involved in bicycle fatalities has nearly doubled, from 24 to 45, since 1988. 88 percent of bicycle fatalities are male. Urban areas claim 71 percent of bicycle fatalities. Almost one-third of bicycle injuries occur due to collisions with motor vehicles. In 2014, bicyclists were involved in 195 crashes, four of them fatal, in Volusia County alone. That puts Volusia County in the top ten on the list of most dangerous counties for cyclist injuries and fatalities in Florida. What makes Florida such a risky place to cycle? Besides the high number of bicyclists on the road, consider the roads themselves. There are few bicycle paths, and those that do exist are often narrow, many of which are along busy roadways. Consider, for example, the MacArthur causeway, which connects Miami proper to Miami Beach. It is the perfect example of high-speed motorists right alongside bicyclists, with no barriers separating the two. Additionally, Florida has lagged behind other states in educating the public about bicycle safety. Education shouldn’t be simply about what cyclists can to do to protect themselves; it should include a piece to build awareness in motorists and a stepped-up enforcement plan for distracted driving. There simply needs to be a shared responsibility for the issue of bicycle safety. 316.2065: Bicyclists are allowed to ride on sidewalks, but must yield to pedestrians. Helmets are required by Florida law only for cyclists aged 16 and under. 316.2065: Lights are required for night travel, and reflectors are required at all times. 316.2065: Cyclists may ride two abreast, as long as they do not impede traffic. 316.155 & s. 316.157: Bicyclists are required to use hand signals (though not continuously) 100 feet prior to making right or left turn. Bicycling is a healthy way to get from one place to another: until it is not. If your bicycle commute lands you in the hospital, the aggressive team at The Law Offices of Robert W. Elton will pursue justice on your behalf. Contact us today in Daytona & Ormond Beach for your free, confidential consultation.